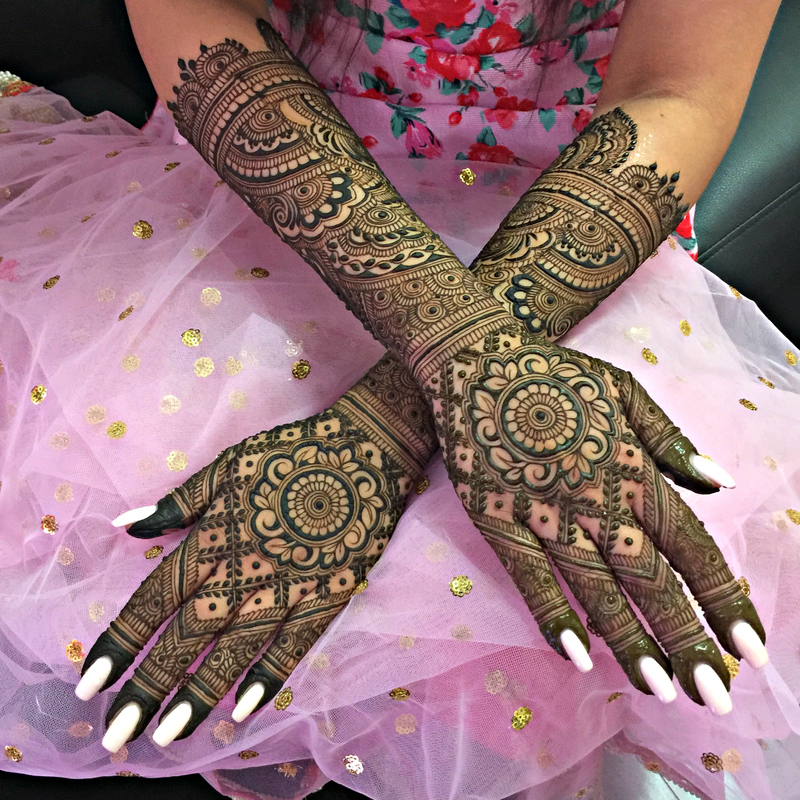 Mehndi that’s fit for a Maharani! This selection is for the bride-to-be who wishes to do her bridal henna in all its traditional grandeur. 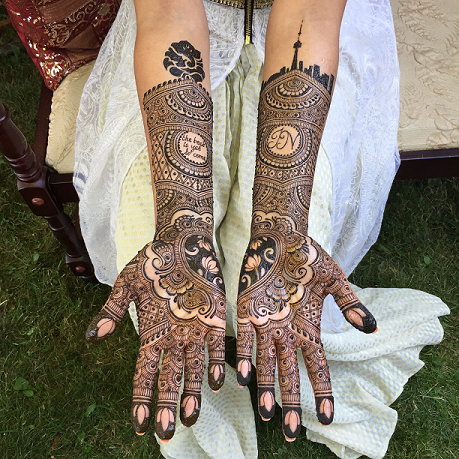 Includes intricate bridal henna on hands, palms forearms all the way up to the elbow and wrapping around in a similar style and intricacy on the backs of hands.Time required completing this bridal package: 5+ hours. feet and extends about 4 inches above the ankle. The design will only cover the tops/front of the feet and legs and does not wrap around.